In the interest of the safety of Coolidge Corner Theatre patrons and staff, we’ve decided to close early today and open late tomorrow. Our last show of the day will be the 4:30pm The Death of Stalin, cancelling all later showtimes for Wednesday, March 21. We plan to reopen tomorrow, Thursday, March 22, for the first afternoon show at 1:15pm, with our Box Office opening 30 minutes beforehand. 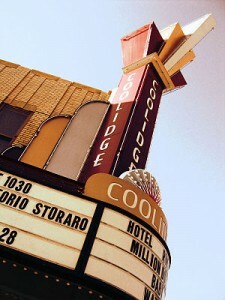 Our full updated schedule can be found at coolidge.org. Thanks, and be warm and safe! We have rescheduled our Wide Lens screening of Get Out to Wednesday, April 4 at 7pm. Boston University’s Dr. Raul Fernandez will lead a panel discussion on race and micro-aggressions after the film, joined by Boston Globe editor Patricia Wen and Vice Chair of Boston Public Schools Committee Hardin Coleman.